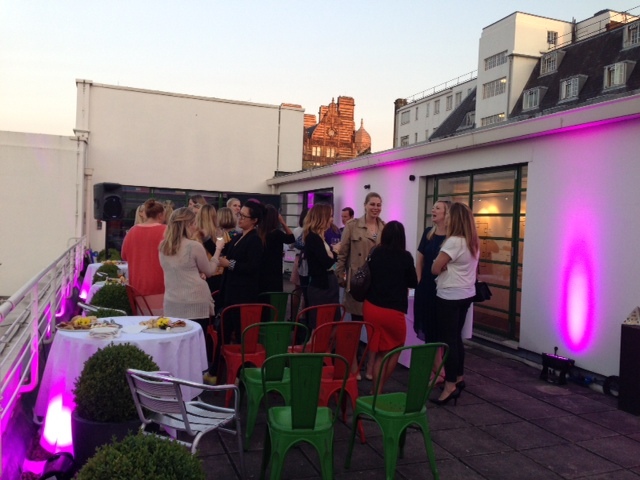 The London chapter of the Women’s Leadership Network hosted a midsummer program to kick start a mentoring program at McCann London Rooftop Terrace. Nikki Crumpton gave a presentation on ‘The World of Mentoring, from Yoda to Chaka Kahn’ which was followed by smaller mentoring groups with four female senior managers. The goal of the event was to gauge interest and encourage participation for the WLN London chapter, promote a mentoring culture within IPG agencies, and kick off an ongoing mentoring program with the Women’s Leadership Network in London. Over 45 attendees participated from various London agencies, 20 of which signed on to participate in the Mentoring program. 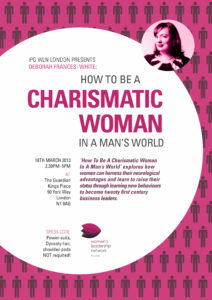 WLN London to Host "How to Be a Charismatic Woman in a Man's World"
On March, 18th, WLN London will host "How to Be a Charismatic Woman in a Man's World." Presented by Deborah Frances-White, the talk will explore how women can harness their neurological advantages and learn to raise their status through learning new behaviors to become21st century business leaders. 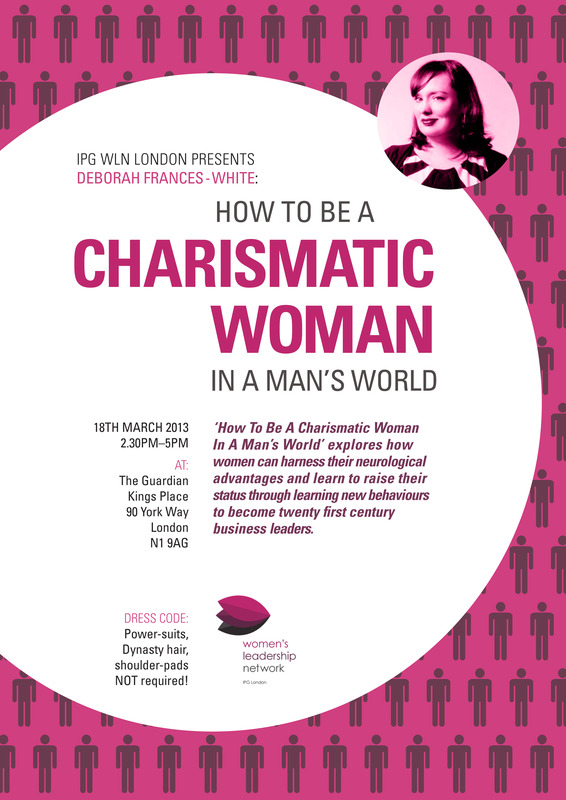 The event will take place at The Guardian from 2:30 PM - 5 PM. For more information, contact Lizzie Jarvis, Lizzie.Jarvis@initiative.com. More than 16 IPG agencies were represented at the WLN London's mentoring event held at McCann’s headquarters. Nearly 80 people attended and 28 mentoring pairs were established. Agencies represented at the meeting included Initiative, R/GA, Lowe, DLKW, Huge, McCann, Momentum, Rapport, Mediabrands, UM, Reprise, Orion, MRM, Draftfcb and Jack Morton. Many of the mentoring pairs have already had their first meetings. More than 100 IPG employees gathered at Momentum’s HQ in Southwark for the launch event on September 19th with guest speaker Nicola Mendelsohn, first female President of the Institute of Practitioners in Advertising, the UK media industry’s professional body. The session began with Nicola sharing “what I wish I’d known when I was 20” which led into a colourful discussion between the panel and the floor – covering topics ranging from whether quotas should be introduced as a means of speeding the path to the c-suite for women, to whether sexism in business still exists at all. The event even garnered some press coverage. 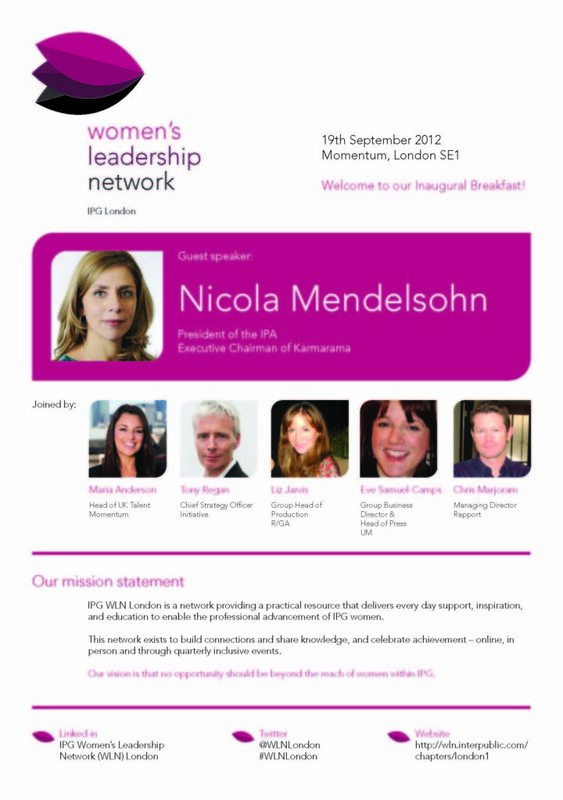 The WLN London Chapter held a pre-launch event on July 12th that was attended by more than 50 people. Held at the MRM Meteorite offices, more than 50 people attended the event which included drafting a mission statement, laying the groundwork for the new chapter and planning next steps.